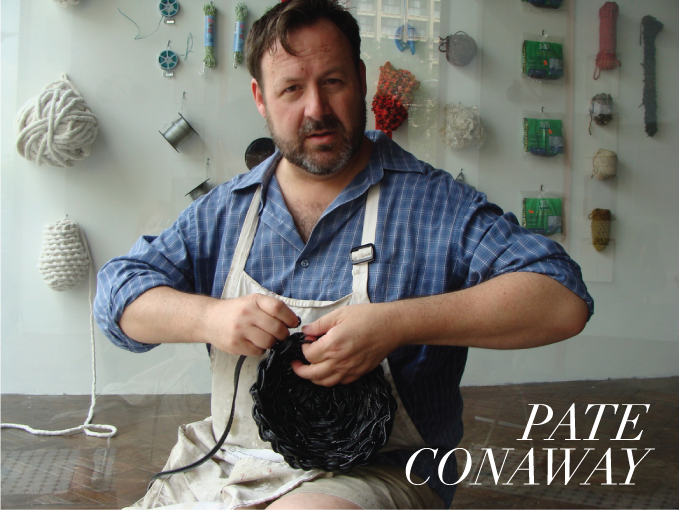 Paté Conaway is an independent artist in Chicago who is best known for his knitted works. He received his MFA in Interdisciplinary Arts at Columbia College, and is also a graduate of the Second City Training Center. Conaway was taught how to knit while he was teaching art at a nursing home. Failing to capture their attention through collage making and drawing projects, Conaway finally asked one of the Evanston ladies to teach him how to knit. 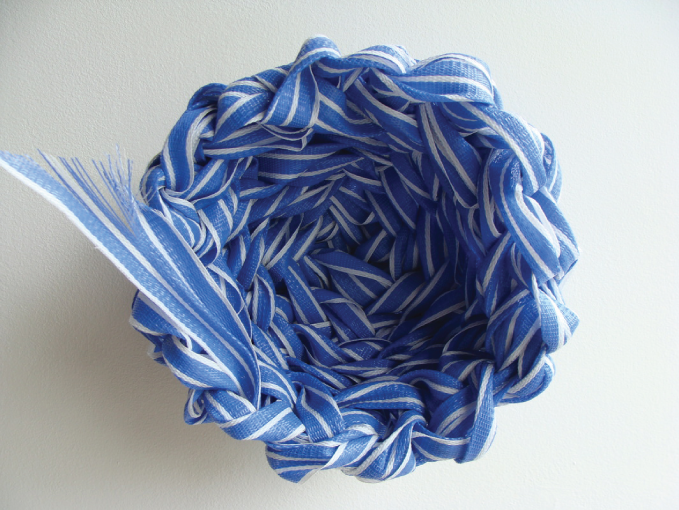 Since, Conaway has elevated the craft of knitting into a sculptural art, transcending the everyday.